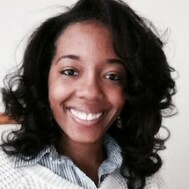 Dr. Danielle Dickens is a lecturer in the Department of Psychology at the University of Georgia. She is a native of Marietta, Georgia, and participated in the MBRS-RISE program from 2007 through 2009. While at Spelman she conducted research on psychosocial factors associated with health behaviors under the guidance of Dr. Sinead Younge at Morehouse College. She graduated from Spelman in 2009 with a B.A. in Psychology and completed her doctorate degree in Applied Social and Health Psychology at Colorado State University. She uses an interdisciplinary approach in Psychology, African American Studies, and Women’s Studies to examine the intersectionality of social identities, self/identity development among Black women, health disparities, and prejudice and racism. Her current research explores the negotiation of race, gender, and class identities among academically successful Black women by creating space for dialogue about their identities and how they navigate through various life experiences. She has published articles and has presented at several regional and national conferences. Dr. Dickens is a member of the Society for Personality and Social Psychology, Association of Black Psychologists, and Society for the Psychology of Women.